ALERT® HIE is an integration infrastructure that provides the ability to access patient clinical records from different healthcare facilities located in different geographical areas. ALERT® HIE can be adapted to interconnect all systems (EMR, PHR, etc.) that are compatible with adopted standards – even if those systems have been supplied by different vendors and for different clinical scopes: hospitals, primary care centers, private practices, laboratories, maternities, national registers, etc. This infrastructure thus enables the set up of RHIOs (Regional Health Information Organization). To ensure a correct interoperability, ALERT® HIE has been regularly tested in international events promoted by the Integrating the Healthcare Enterprise (IHE) organization – in the United States and in Europe – and has been successful in tests carried out with different vendors in the market. 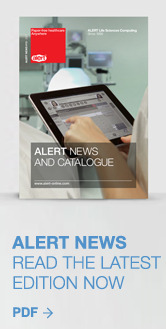 Clinical ALERT® products replace the management of EMRs (PAPER FREE HOSPITAL) and PHRs (such as MyALERT®) and are able to benefit from the ALERT® HIE infrastructure for the exchange of clinical information on patients. The ALERT® PFH Documents Archive module is totally based on ALERT® HIE’s standard services for the management of clinical documents, which ensures the access to clinical documentation, regardless of the institution where the same is stored. This means that patient information confidentiality, as well as access permissions given to healthcare professionals are also assured. - ALERT® Patient Identifier Cross-referencing (PIX) Manager – central service that correlates identifiers from patients that are registered in different healthcare information systems. Through the correlation check generated by ALERT® PIX, any system can automatically obtain identifiers existing at other facilities for a given patient. Patient identifier correlation is used to ensure a coherent exchange of clinical information between facilities integrating a given healthcare region. - ALERT® Cross-Enterprise Document Sharing (XDS) Repository – shared repository containing clinical documents issued for the patients. A repository enables healthcare professionals to access stored clinical documents whatever the facility. ALERT® HIE’s infrastructure architecture enables the various facilities to use a centralized repository. Alternatively, each facility can keep its own repository while granting access to clinical documents by other facilities. - ALERT® XDS Registry – central register with a list of all documents published in the existing repositories of the ALERT® HIE infrastructure. Similarly to an internet search engine, localization parameters (links) for the existing documents on a given patient can be obtained in all repositories that belong to the ALERT® HIE infrastructure. - ALERT® Audit Record Repository (ARR) – central repository with logs for auditing. 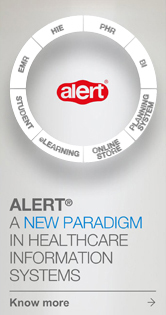 Activity performed in all integrated systems via ALERT® HIE are registered in ALERT® ARR. This allows for monitoring and auditing in order to ensure that rules for sharing and accessing clinical data are respected. - ALERT® Cross- Enterprise User Assertion (XUA) – is a module to guarantee the correct identification service users and to provide additional information in order to make the decision of whether or not to provide access to the information.